Premium wood raised panel shutters integrate a solid elevated composite section between the stiles and rails. 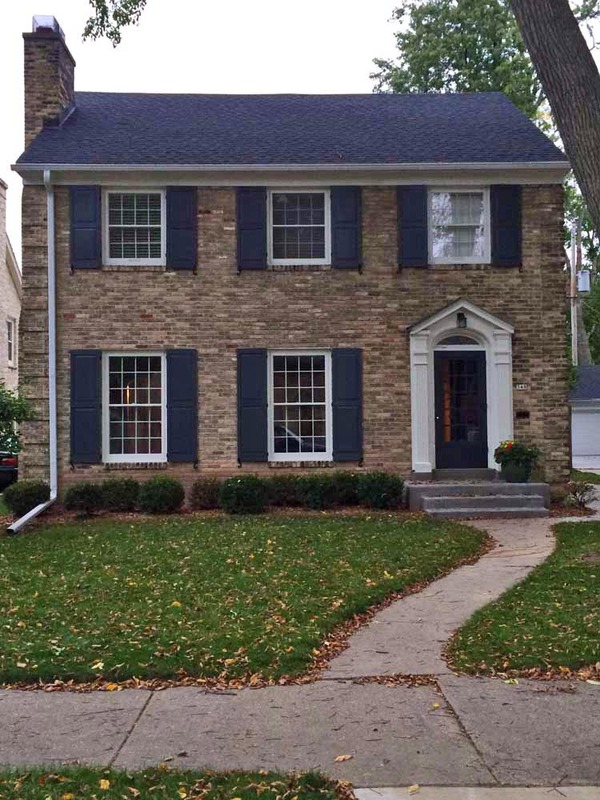 This distinct style is popular throughout the United States. 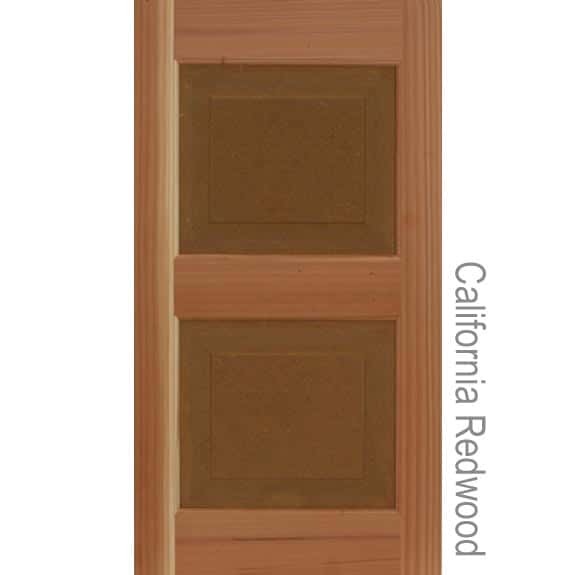 Our premium wood selection includes solid kiln dried California Redwood and Western Red Cedar. 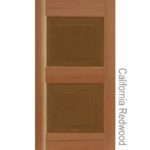 ShutterLand also offers an economy line of raised panel shutters built from Southern Yellow Pine. 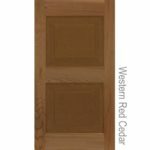 While sizes are not “custom,” both the width and height are available in quarter inch increments. 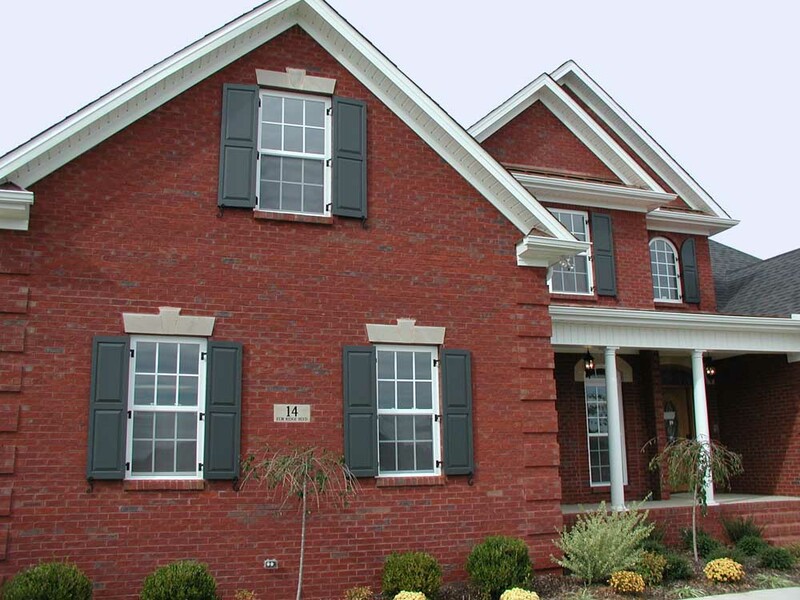 Outdoor shutters can be installed to be functional (swing open and closed), but most often are stationary. Non-functional exterior wood raised panel shutters require less precise measurements than those that operate. 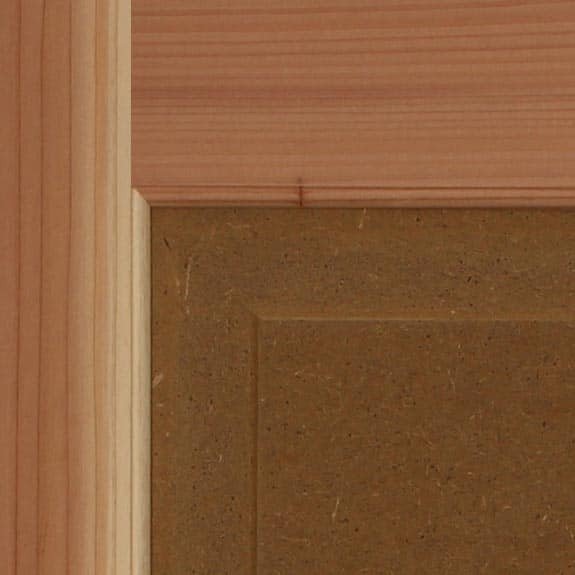 Measure each window width from the outside edge of window trim to the same spot on the opposite side. Calculate the shutter panel width, starting with the smallest window. Window widths narrower than 60 inches can appear to have functional outside shutters by ordering panels half of the window width. Windows larger than 60 inches, while unable to appear functional, should use panel sizes between 30% and 50% of the window width. 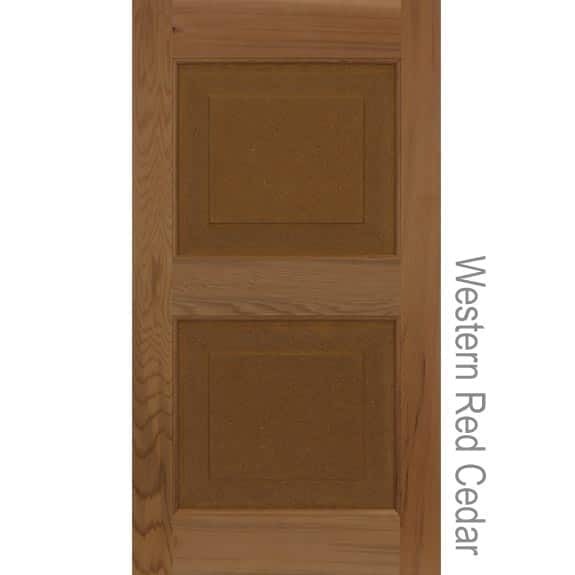 Consider panel widths of narrow windows when determining panel widths for larger windows. Do not exceed a house shutter width greater than 50% of the window. Measure each window width from the top edge of the window trim to the bottom edge of the window trim. If there is a sill at the bottom of the window, measure to the top of the sill. Install the shutters about 1/4 inch above the sill. 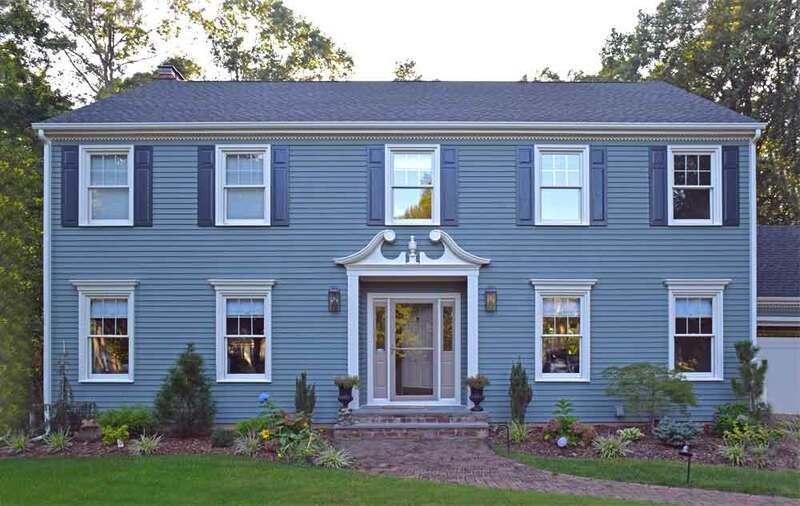 Exterior wood shutters are sold in 1/4 inch increments to best fit the window. 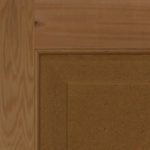 A divider rail on premium wood raised panel shutters can be located at a standard or custom location. To specify a custom location, provide the measurement from the bottom of the shutter to the center of the divider. 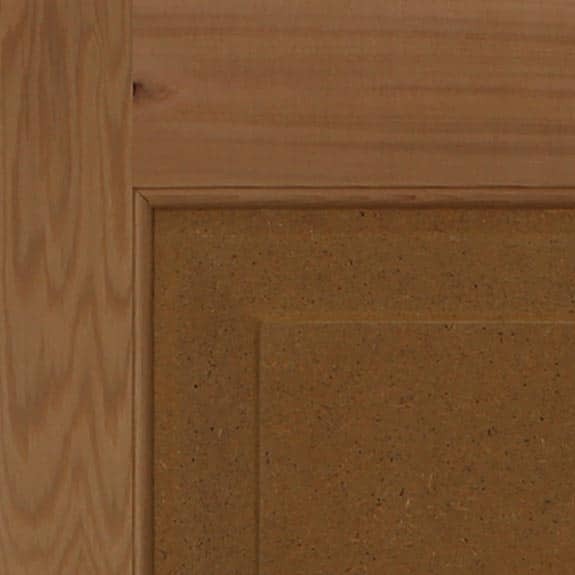 See measuring instructions for functional wood raised panel shutters in greater overall detail. ShutterLand premium wood raised panel exterior shutters require approximately 4 weeks to manufacture. Production times may be shorter or longer depending on the number of orders in house, holidays, size of order, finishing, or a number of other considerations. We do not guarantee production or shipping times. We have streamlined the production process to reduce delays. We do not rush orders, cut corners, or sacrifice quality. 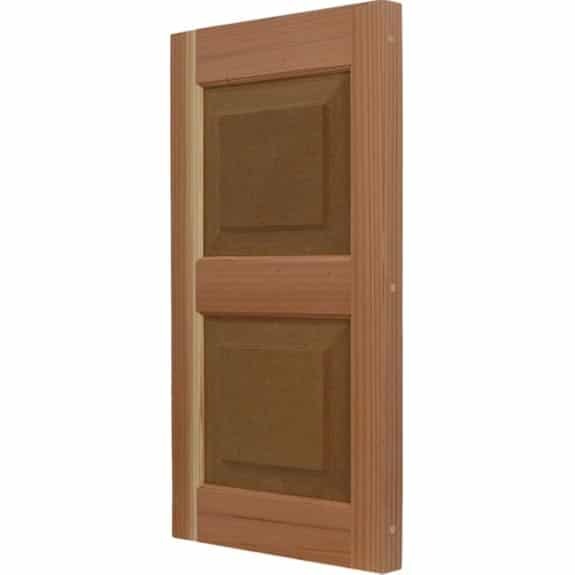 We ship all raised panel exterior wood shutters from our manufacturing facility in Alabama. 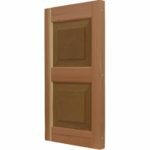 We generally ship wood raised panel shutters using FedEx Ground, usually resulting in a shipping period under one week. See more about ShutterLand’s production and shipping methods. I would use this source again for outdoor shutters and would also recommend it to others. The price, quality and service were excellent. Thank you so much. My wife was blown-away at how nice they look and the color is a perfect complement to our new concrete-fiber siding. They were pricey but the size match and look was well worth it. I'll recommend your shop for anyone I know looking for quality shutters.